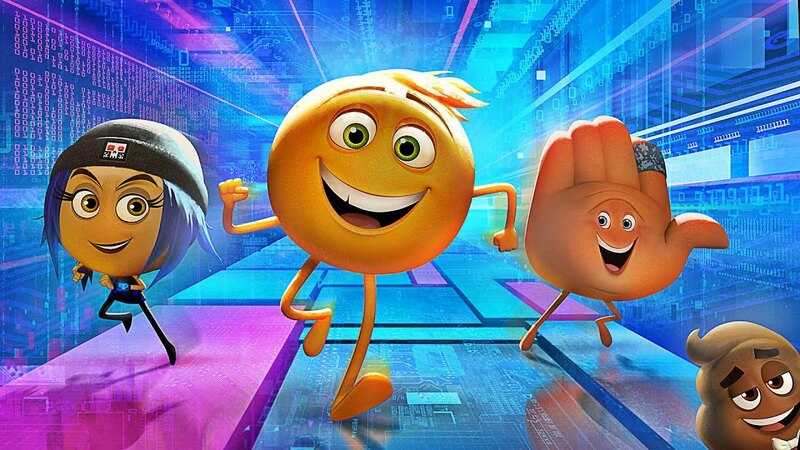 Today, I am going to be kicking off an entire month dedicated to the worst films of 2016. First up is the controversial bomb, Gods of Egypt. Mortal hero Bek teams with the god Horus in an alliance against Set, the merciless god of darkness, who has usurped Egypt’s throne, plunging the once peaceful and prosperous empire into chaos and conflict. 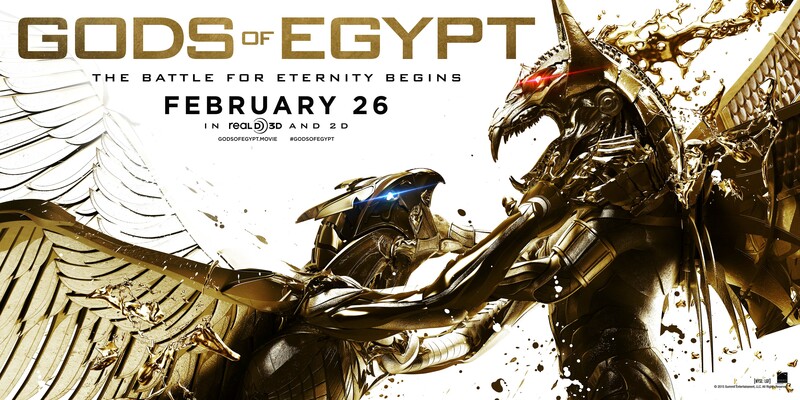 Gods of Egypt was directed by Alex Proyas, who is best known for movies like Dark City, The Crow, and I, Robot, among others. The screenplay for the movie was written by the duo of Matt Sazama and Burk Sharpless, who recently penned Dracula: Untold and The Last Witch Hunter, and wrote the script for the upcoming Power Rangers movie. Gods of Egypt stars Gerard Butler (300, Olympus Has Fallen), Nikolaj Coster-Waldau (Game of Thrones, Headhunters), Brenton Thwaites (Oculus, Maleficent), Geoffrey Rush (Mystery Men, Green Lantern, The King’s Speech), and Chadwick Boseman (Captain America: Civil War, 42). Richard Learoyd served as the primary editor for the film, after cutting Proyas’s previous movies, Knowing and I, Robot. The cinematographer for Gods of Egypt was Peter Menzies Jr., who has shot such films as Four Brothers, The 13th Warriors, Kagaroo Jack, The Incredible Hulk, and Die Hard with a Vengeance. Also of note among the crew was the production designer, Owen Paterson. His design credits include work on The Matrix trilogy, Red Planet, V for Vendetta, and The Adventures of Priscilla, Queen of the Desert. The musical score for Gods of Egypt was composed by Marco Beltrami, who has had a number of high profile film scores over his career, including Scream, Snowpiercer, Blade II, The Hurt Locker, Jonah Hex, The Faculty, and Mimic. This plot of Gods of Egypt is a heavily modified version of the Egyptian myth “The Contendings of Horus and Set”, in which the gods Set and Horus vie for the rule of Egypt. 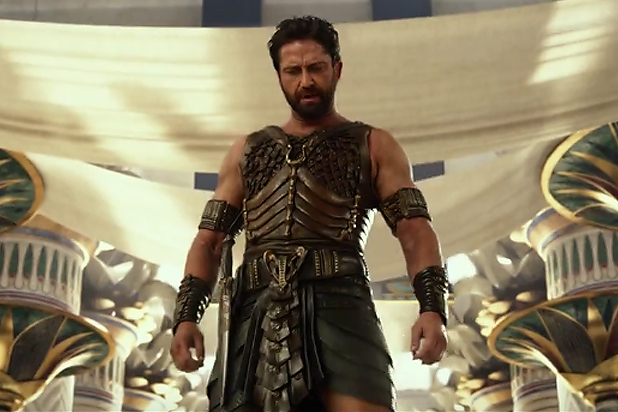 Set, played by Gerard Butler in the movie, was the Egyptian god of the desert, storms, disorder, and violence, and served as lord of the red land (essentially, the deserts of Egypt). 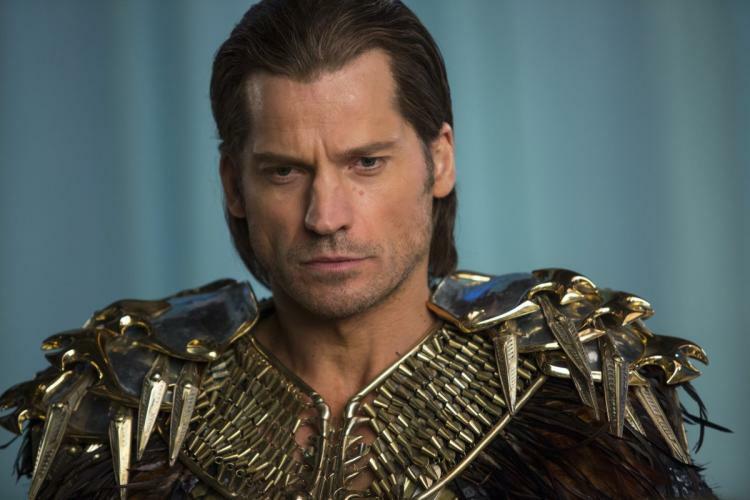 His foil, the protagonist Horus, is played by Nikolaj Coster-Waldau, and is the Egyptian god of the sky. Horus is the son of Set’s brother, Osiris, whom Set ursurped and murdered in his quest for power. Because of this, Horus and Set are at odds in Egyptian mythology, a conflict that is carries over into Gods of Egypt. Other Egyptian mythological figures who appear in the film include Ra, the sun god; Osiris, the god of resurrection and the afterlife; Thoth, the father of science, religion, magic, and the written word; Apophis, the enemy of Ra and lord of chaos; Hathor, the goddess of love and beauty; and Anubis, who was the lord of the underworld, and tasked with ushering souls into the afterlife. Gods of Egypt was filmed in Australia to stand in for the Sahara desert. While this was partially because of safety concerns, Australia also offers significant tax incentives to bring in film productions. 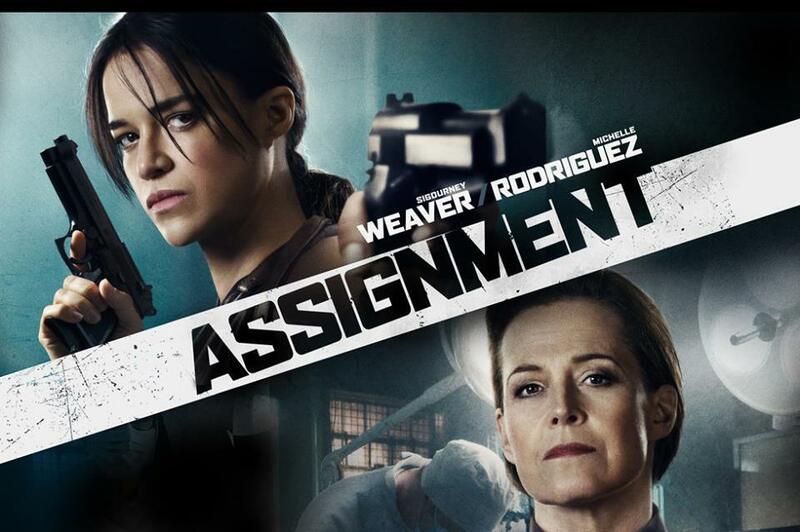 Between these incentives and pre-selling international distribution rights, Lionsgate and Summit had very little risk involved with the project (rumored to be only $10 million), and almost certainly made a solid profit. The title of the movie was modified in a number of markets to be Kings of Egypt, in order to avoid potential religious controversy and censorship. Interestingly, one of these countries wound up being Egypt itself. A lot of people are getting really worked up online about the fact that I’m a white actor. I’m not even playing an Egyptian; I’m an 8-foot-tall god who turns into a falcon. A part of me just wants to freak out, but then I think, “There’s nothing you can do about it.” You can’t win in that sort of discussion. 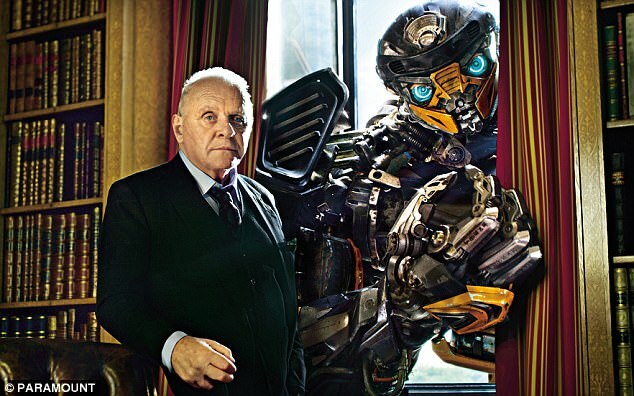 Following the near-universal negative reception to the movie, director Alex Proyas did what most directors of prominent flops seem to do: he lashed out at film critics. They can rip into my movie while trying to make their mainly pale asses look so politically correct by screaming “white-wash!! !” like the deranged idiots they all are….we have a pack of diseased vultures pecking at the bones of a dying carcass. Trying to peck to the rhythm of the consensus. I applaud any film-goer who values their own opinion enough to not base it on what the pack-mentality say is good or bad. Gods of Egypt was made on a production budget of $140 million, on which it took in a lifetime theatrical gross of just over $150 million dollars. While this ultimately covered the production, the production budget number doesn’t take into account post-production and marketing costs. However, thanks to the pre-sales and tax incentives, the film was probably profitable when all was said and done, though not the blockbuster smash that was hoped for. It is interesting to note that Gods of Egypt only made $31 million of its total gross domestically: the movie had to rely heavily on foreign markets to even get to it’s ultimate lackluster take. It’s…fuelled with its own absurdity, like an ecologically unsafe type of diesel. I don’t think I could have said it better, honestly. Gods of Egypt has an awful lot of problems that plague it from top to bottom. First off, it lacks a clear direction or mission, often shifting focus from one McGuffin to the next, such as one or the other of Horus’s eyes, or Ra’s staff. 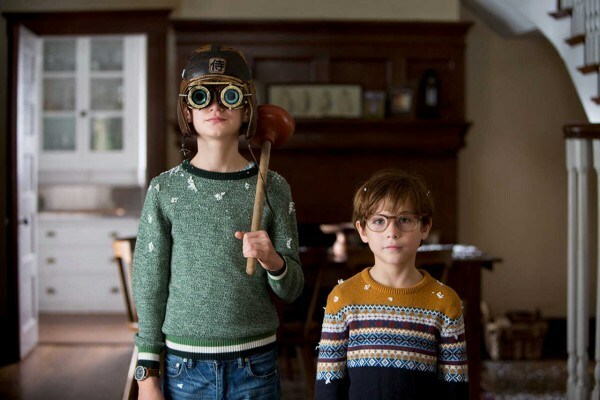 The writing also relies heavily on prior knowledge of Egyptian mythology, rarely introducing characters or elaborating on any objects, people, or beasts not at the very center of the primary plot. Ra’s solar barge is glossed over, as is his space worm opponent. Likewise, the rules of the afterlife seem rather convoluted and prone to change, and further, apparently the afterlife as whole is edible? Also, it is heavily implied that Horus’s powers were either magnified or manifested from his eyes, until it was revealed that they weren’t actually connected, and that his eyes are mostly irrelevant. However, his eyes are still magic and capable of blinding mortals. 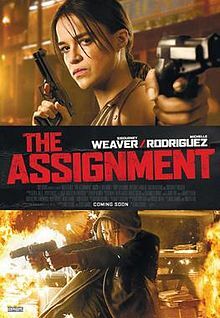 While the design and appearance of the movie is impressive at first glance, the shiny veneer and immaculate production design are often ruined by shoddy CGI, even outside of the cringe-inducing action sequences (which I’ll get to shortly). One frequently used, yet inconsistently applied, digital element in the film is the size differential between mortals and humans. Sometimes, the gods appear only slightly taller than most humans, and in other scenes, they look like giants. 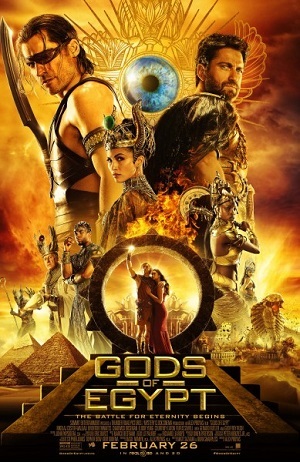 I understand wanting to make the gods look superhuman, but unlike the impressive perspective work done in Lord of the Rings for the hobbits, Gods of Egypt never nails down the art of pulling this off effectively, and it mostly served to make my eyes confused for the first few minutes of the run time. While watching the movie’s action sequences, I was reminded of the climactic fight between Superman and Zod in Man of Steel: in spite of all of the damage and punches being thrown, I was pretty bored after only a few seconds. The hits never look like they have weight, and the rapid movements and cutting distract from any kind of tension or compelling visuals. That said, there wasn’t much to see in the first place: the animal transformations of Set and Horus that appear in most of their fights just look goofy. They are a little too fluid and shiny to be tangible, and stand out like two big, cartoonish sore thumbs whenever they show up. This is really unfortunate, because they should be cool, and I’m willing to bet that their designs on paper were fantastic. Similarly, a 9-foot-tall Geoffrey Rush on fire fighting a space dragon should one of the coolest things you could ever see, but the result on screen just looks like a bad video game. There are some good things to say about a few of the performances, however. 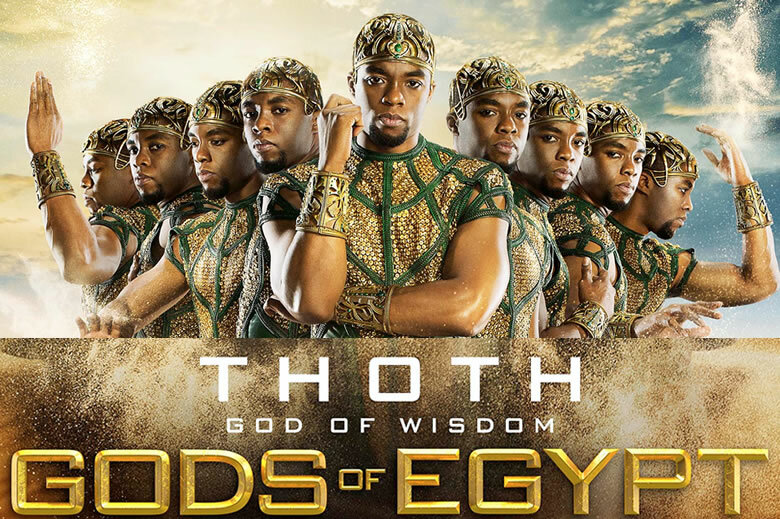 Chadwick Boseman’s hammy portrayal of Thoth is refreshing, and adds some genuine humor to the movie. Gerard Butler also seems really comfortable in the role of a heel, and I hope he continues on his path of villainous portrayals. 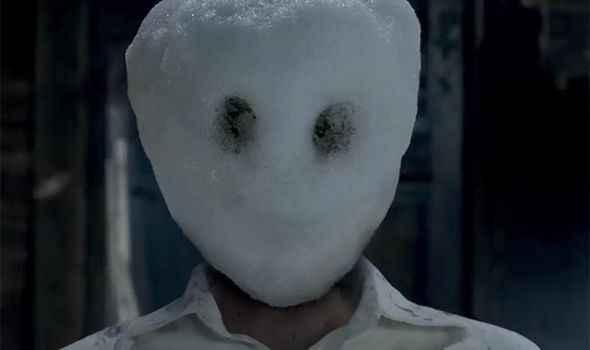 Nikolaj Coster-Waldau is the platonic ideal of a stone-faced, handsome protagonist, and his comedic banter with his co-stars is genuinely charming at points. However, there are also some less than stellar performances to be found, particularly among the cast of mortal characters. Brenton Thwaites, who plays the (I guess) protagonist Bek, is absolutely terrible, from his inconsistent accent to his awkward deliveries. His romantic interest, played by Courtney Eaton, is also far from stellar (again, a bad accent), but is relegated to basically being a McGuffin herself instead of an actual character with an arc or discernible traits. Speaking of which, the accents n this movie range all over the place: I kind of suspect that there wasn’t any kind of directorial edict as to what the Egyptians would sound like, so each actor did whatever they felt like. I’ve said it before, but it is worth reiterating again: Gods of Egypt has a pretty damn cool idea on paper: the designs of the sets and costumes are ambitious, bold, and interesting, and the classic story makes for a solid base for a film. However, the execution here was way off the mark. Partially, I think this is because the necessary budget to pull off the number of creatures and sets required to meet the vision was beyond the production’s grasp, so the production team settled on a number of less-than-ideal versions that came slightly cheaper. The insensitivity and lack of foresight in the casting, which has come to embody the impact and legacy of Gods of Egypt, is 100% the result of Hollywood thinking: they clearly didn’t anticipate the backlash, and just wanted faces they thought would be marketable with a relatively affordable price tag. Hollywood is still trying to catch up with the zeitgeist on whitewashing: Ghost in the Shell, Exodus: Gods and Kings, and Gods of Egypt are all indicative of that. Partially due to obliviousness, partially due to stubbornness, and partially due to a powerful, capitalistic drive, a whole lot of studios and producers have held on to the model of The Conqueror: “John Wayne can be Genghis Khan, because he’ll sell the tickets and that’s what people want!” The only way to change this is to keep chipping away at the profits of these movies: don’t buy a ticket, and complain on social media as loud as you can. 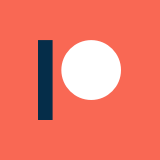 Eventually, the financial losses and toxic word of mouth will lead to some changes. At least, we can hope so. 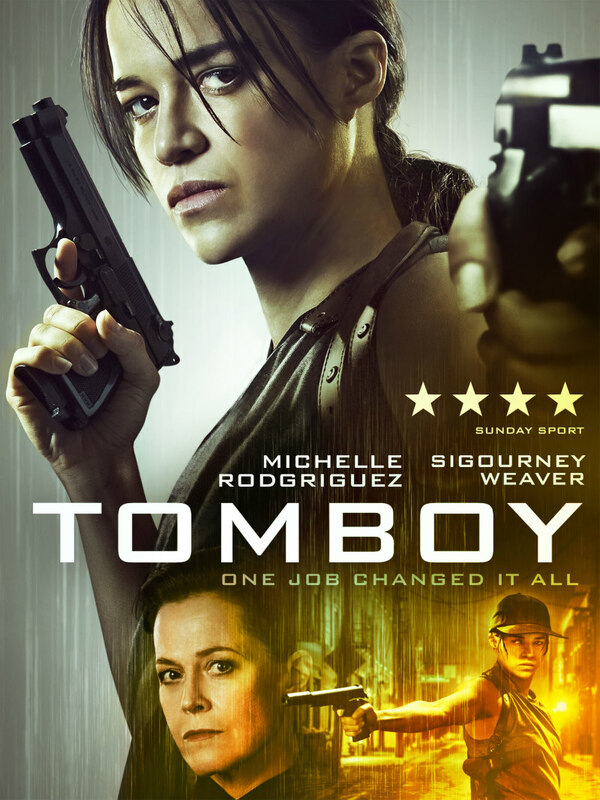 As far as a recommendation goes, there are some positives to the film, but they don’t come anywhere near outweighing the negatives. If you haven’t seen it yet, don’t. Or, if you are deathly curious, look up some clips. I just wouldn’t advise putting any money into seeing this.